So you've got some HD voice-capable phones and you want to make the move from G.711 narrowband into wide world of wideband. How will that affect your network? How do HD voice phones "talk" to other HD voice phones in your organization, other organizations, and the PSTN/POTS? The three keywords here are bandwidth, transcoding, and interconnection. And you really only need to worry about one of the three. If you are currently using G.711 to carry VoIP traffic, the codec (compression scheme) uses 64 kbp/s for a phone call on your network. Flip the switch to G.722 and an HD phone call needs... wait for it... 64 kbp/s for a phone call. Yes, G.711 and G.722 use the same amount of bandwidth . If you are running G.711 today and have G.722 in your phones along with support for the wideband codec in your PBX/call server, you can simply set everything with G.722 as the highest/first codec to try, reboot, and voila! HD voice is up and running! 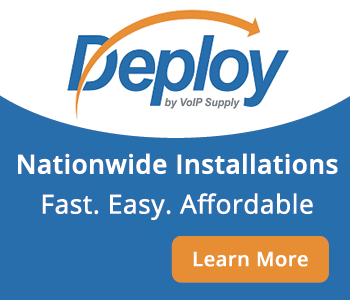 You should be able to quickly and easily run HD voice on any network properly configured for VoIP using G.711 without headaches. You should also be able to easily mix and match G.711 and G.722 phones together, since two IP phones (SIP end-points, if you want to be a purist) on the same network should negotiate (work through) a list of codecs when they establishes a SIP connection, starting with the default codec. Since you've already set G.722 when you turned on wideband, everything should be fine. A word of warning: Not all PBXes or call servers support G.722, or they may need additional configuration to support the codec. In addition, more complex network arrangements and some hardware may not support the ability to allow SIP end-points to directly negotiate codecs. Check with your friendly technical support people and vendors. HD voice calls can't go everywhere. Sooner or later (most likely the first call you make outside the office after you turn on G.722), your HD voice call will have to be transcoded -- translated into a format compatible with another phone or phone system . 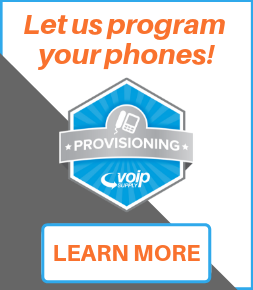 Transcoding might be done at the service provider level or at your IP PBX, depending on how the call is handled. The most simple form of transcoding happens when an HD phone makes a call (sending or receiving) over the PSTN/POTS. Wideband has to be translated into narrowband, and vice versa. Since the POTS is going away tomorrow, this is going to happen a lot. It gets a little trickier when you start transcoding between different HD voice formats, such as G.722 -- predominately used on broadband and in businesses -- and AMR-WB, the emerging standard for mobile HD voice. You want to be able to transcode between the two formats so you keep that HD voice goodness; otherwise, you end up punting (falling back) to narrowband and that's no fun. 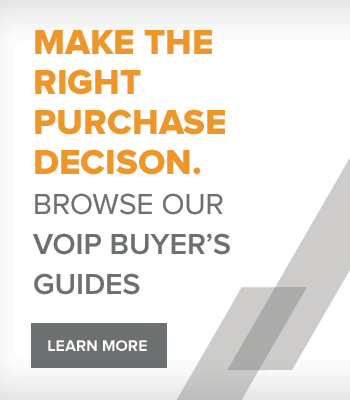 Depending on network configuration and security policies, you may be able to make HD voice calls between your business and other parties on the same internet service provider, but life is more complex once you move outside of your "trusted" IP universe. You don't let just anyone in the world (literally -- this is the Internet) connect to your network and do whatever they please due to the potential for abuse. 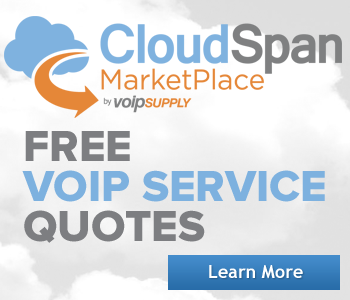 Security and quality of service both need to be managed, especially when it comes to voice, video and other SIP-based communications due to the potential for misuse and the need for voice and video apps to get higher priority than the latest junk mail. In addition, you need some additional infrastructure to map VoIP-enabled PSTN/POTS phone numbers to IP addresses. The scheme, called ENUM, is necessary so you can seamlessly make VoIP calls between IP phones directly by using a simple phone number, rather than dumping calls out to the POTS network because your IP PBX/service provider doesn't recognize the number as VoIP/HD voice enabled. Once you touch the PSTN/POTS network, you lose all of that HD voice goodness because the phone call gets transcoded down to narrowband. As a result, service providers dealing with HD voice and other SIP-based communications have to make higher-level network arrangements to both A) Agree to exchange HD voice traffic in a secure and QoS-enabled manner and B) Swap ENUM phone lists in order to identify if an HD voice call can be setup between two parties. There also might be some financial considerations involved because once you start talking about voice calls, people start thinking about compensation for termination and cents per minute... but that's another story. Service providers have to agree to exchange this traffic by interconnecting and they may do so directly on a one-to-one basis as "peers" or use an interconnection service with a number of participating providers. HD/SIP interconnection is done by service providers to make sure HD voice calls are connected in a secure fashion and get the appropriate Quality of Service (QoS) -- again, you don't want HD goodness ruined. Efforts are underway to get service providers to interconnect/peer for HD voice calls so you don't have to worry about the previous five paragraphs above -- you can just dial a number and if there are HD phones on both ends, you simple get an HD call. It is important to let your service provider know you want it to interconnect to as many other HD voice-using phones as possible, as soon as possible. Because you don't want to worry about interconnections and ENUM -- everything should automagically happen in the background.